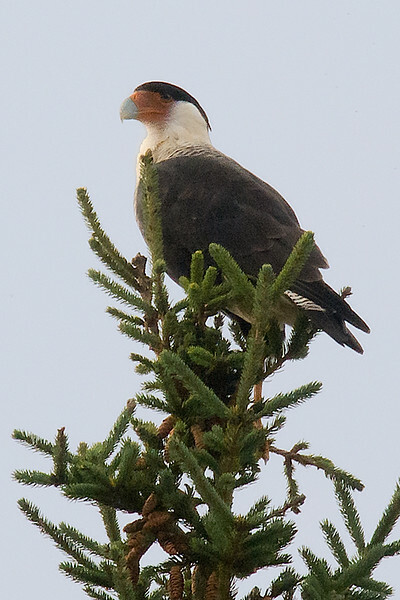 CONGRATULATIONS on spotting and photographing the Caracara in Nova Scotia. In April of this year my son, Curt, found a No. Caracara outside Montgomery, NY which is 70 miles north of NY City. I have been most interested in other sightings throughout this year. Your excellent photos showing both sides of the face prove that yours is NOT the same bird because our bird was missing its' left eye.